Name game: An Indiabulls store in Pune. Heavy losses prompted Indiabulls to close all but five of the 47 stores and exit some cities including New Delhi, Jaipur and Ludhiana. New Delhi: Indiabulls Group, struggling to find a winning formula for its retail business, has changed the name of the unit—for the second time in two years. 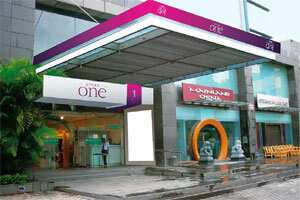 The unit, Indiabulls Retail Services Ltd, has been renamed Store One Retail India Ltd, deleting Indiabulls from its corporate identity. Its two surviving lifestyle stores, located in Pune and Nagpur and until recently called Indiabulls Megastore, have been branded Store One. A senior Indiabulls executive, who asked not to be named, said the company had decided to change the name to Store One because consumers associated the Indiabulls name with financial services and infrastructure that are the group’s main businesses, and the name is “not inspiring" enough for a business such as retail. Anil Lepps, chief executive of the retail arm, says the unit had decided to change its name to Store One Retail to show “commitment" towards the new Store One brand. “My corporate identity and the brand identity have to go hand in hand," he says. “We are aligning the corporate identity with that of the brand." The Bombay Stock Exchange-listed Indiabulls Retail Services, the retail arm of Indiabulls Group, a company with interests in infrastructure, real estate, financial services, multiplexes and power, entered the retail business through its late-2007 acquisition of Piramyd Retail Ltd from the Ashok Piramal Group for Rs208 crore. The group changed the name of the entity from Piramyd Retail to Indiabulls Retail in early 2008, before the economy headed for a downturn that crimped the sales of organized retail chains that had already been hit by high costs. Retailers responded by paring the number of outlets and putting expansion plans on hold. Around March, Indian retailers’ same-store sales—which measure sales at stores open for at least a year—were down 15% year-on-year, and retailers had been reeling under high inventory and debt, said Anubhav Gupta, retail analyst at Kim Eng Securities in Mumbai. “Things are improving now and will not remain the same," Gupta said. “Same-store sales are currently at 6-7% growth level and by the end of this fiscal year, things will be back to the 10% growth level and then retailers will think of more rollouts," he said. Indiabulls inherited nearly 42 stores from Piramyd Retail and added five smaller-format stores. Later, it renamed the smaller grocery stores Indiabulls Mart. The nine bigger lifestyle stores it inherited were renamed Indiabulls Megastore, only two of which are still open. Heavy losses prompted Indiabulls to close all but five of the 47 stores and exit some cities including New Delhi, Jaipur and Ludhiana. Indiabulls had ambitious plans for the retail sector and the company wanted to be among top three retailers in India. But it failed to stem losses even two years after it acquired the Piramyd chain. The retailer reported a net loss of Rs18 crore for the quarter ended June after incurring a loss of Rs90 crore for the fiscal year ended March. Lepps is hopeful the company will turn profitable in the next two years. “We are here for the long haul and (are) not a fly-by-night operator," he says.